Who knew? You make a 43 minute video and you teach yourself certain lessons. It seems the velocity of negative real time P&L (from the broker) can be a potential guarantee to see if you have a unprofitable trade going against you. 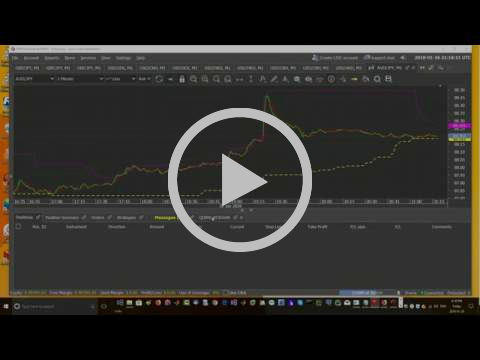 Check this video out to see a potentially big whale position version others that go negative. It seems shorts have a higher profitability that goes against me. Also, ensure that your broker gives REAL TIME P&L after you put your position on (entry) to track this. This video also shows on how debugging and logging of the evolution of these positions can help in tracking. I don’t think many brokers offer real time P&L nor proper trading APIs. Can this also be said for all the crypto currency exchanges out there? One thing after a conversation with someone who has experience with Dukascopy JForex, it is how the API has lots of detailed metrics and technical indicators. Not only that, it is agreed that the Object Oriented Programming nature of the API works to your advantage as compared to Interactive Brokers or LMAX. Watch this video below for the big lessons. Also, get those Dukascopy quick & dirty videos if you want to see how you achieve the same results I am seeing like in this video. This entry was posted in Forex and tagged algo, automated, big, ForEx, lesson, profit, trading, whale on January 26, 2018 by caustic.